If you are need Mul T Lock Garrison replacement keys look no further! 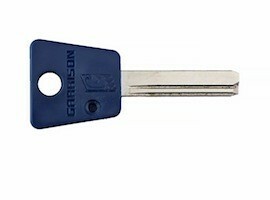 We supply numerous replacement keys in along with Garrison keys and they are cut in house. At IKS locksmiths we are Master Locksmiths Association (MLA) Approved and CRB Checked Locksmiths. Garrison Mul T Lock keys prove to be very popular with IKS customers. We ensure that key cutting for Mul T Lock 7×7 / Garrison is done with accuracy and efficiency, as we do with all our products . One of our areas of expertise is Mul-T-Lock key cutting. NB: Garrison key cutting without card – The card is not necessary however we do require the 7 digit code from the card.